Interplanetary travel is pitched to us as a good thing. Explorers will visit other planets, which settlers will then colonize. But colonization on our own planet led to the genocide and displacement of cultures and people, economic inequity, and the destruction of environments. What lessons from Earth’s colonialist tragedies can we apply to our interplanetary future? Lucianne Walkowicz, the NASA/Library of Congress Chair in Astrobiology, hosted an event in September to bring these ideas to the public called “Becoming Interplanetary: What Living on Earth Can Teach Us about Living on Mars.” We chatted with her, as well as event panelists Enongo Lumumba-Kasongo and Chanda Prescod-Weinstein, about what decolonizing Mars means to them. This is just a small snippet of the broader conversation that includes well-known scientists, artists, and science fiction writers. 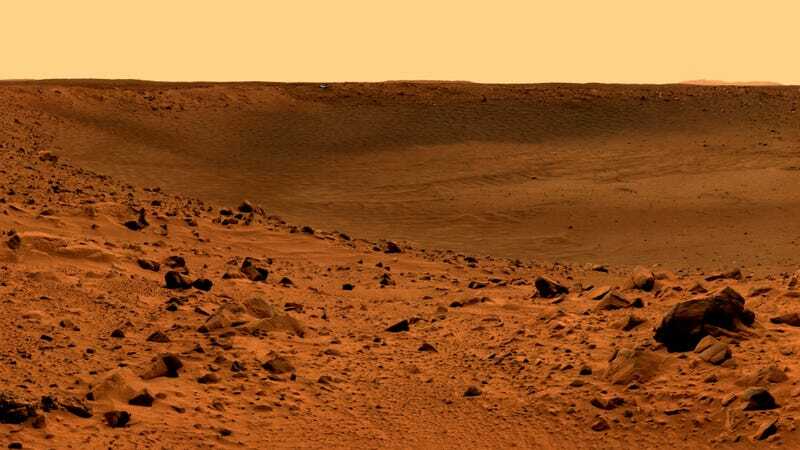 Gizmodo: What does a Decolonized Mars look like? Enongo Lumumba-Kasongo: Colonization is a term to refer to human processes—these very brutal movements of people to take lands from other people, but it’s also a biological term. So, how we conceptualize our movement into other spaces has meaning. Some have already thought deeply about what it might mean to move through a new terrain with a different perspective—I’m thinking about Afrofuturism. I was part of a panel discussion that spoke about speculative fiction and what role it can play when thinking about new spaces and exploration. We have to push for not just representation, but a genuine understanding of other world views. I think it can happen through the proliferation of these stories, and recognizing that people of color aren’t absent from these discussions and have a perspective they can bring. Enongo Lumumba-Kasongo: In a Martian context, thinking practically, there’s a population transported from one place to another. As you build a new ecosystem, everyone has to think about what’s important and what’s not. Every person who’s a part has some relationship with the environment and the crew. I think on Earth, in the face of the soul-crushing news that constantly bombards us, it feels like what we do doesn’t matter. [Sitting on a panel about decolonizing Mars] was a reminder to me that even in my particular community, whether it’s me and my neighbors or me and other artists, there are things I can do.